The new F-Gas II regulation introduces a completely new mechanism aimed at gradually reducing HFCs until 2030 to reduce emissions of fluorinated greenhouse gases. This gradual reduction, called “phasedown” has an important impact on the thermodynamic industry, which must quickly adapt the way it uses fluorinated gases..
Alain Lelièvre-Damit, Refrigerant purchasing manager and Climalife activity coordinator for Europe explains in practical terms the issues raised by regulation 517/2014 CE on the quantities of refrigerant placed on the market. Mr Lelièvre-Damit, could you explain to us briefly what a quota is according to the F-Gas II regulation? A.L.D. 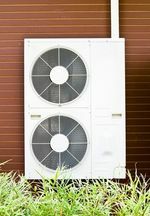 : A quota is the overall quantity of HFC refrigerants, expressed in equivalent tonnes of CO2, that producers and importers can place on the market. At the end of 2014, the European Commission allocated each producer or importer an annual marketing quota that decreases over the years leading up to 2030. What basis did the European Commission use for allocating the quotas? A.L.D. : The quota allocation is based on the average quantity of all types of HFC expressed in equivalent tonnes of CO2 put on the European Union market from 2009 to 2012. This is calculated on the basis of data declared by HFC producers and importers (in compliance with article 6 of the previous F-Gas 842/2006 regulation), which was compiled by the European Environment Agency. In practical terms, this equates to about 180 million equivalent tonnes of CO2. Given that the average GWP of a fluid regardless of application is 2000, this is equivalent to a volume of 90,000 tonnes. On the ground, will professionals using refrigerants have the same quantity of HFC fluids available in the future? A.L.D. : It is important to understand that the aim of this legislation is to reduce the impact of global warming. By using this new CO2-tonne equivalent mechanism (i.e. the charge in kg of a fluid multiplied by its GWP), it is clear that producers and importers will need to make choices on the quantities of products they put on the market in the years to come. 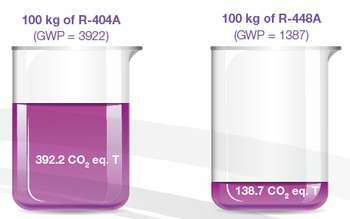 So if a producer-importer puts 100 kg of R-404A with a GWP of 3922 on the market, they will consume 392.2 CO2 equivalent tonnes of their quota. If they market a fluid with a lower GWP such as R-448A with a GWP of 1387, they will only consume 138.7 CO2 equivalent tonnes of CO2. Taking into account the large phase down step in 2018, i.e. 37% reduction in HFCs on the market in CO2 eq. T, we will expect to see a significant reduction in the availability of products with high GWP such as R-404A, R-507A, etc. The availability of these fluids will become more restricted over the next three years, and well before the cut-off date of 2020. Will the implementation of quotas only impact the availability of fluids or will it have other consequences as well? A.L.D. : It seems clear to me that between the quotas allocated and the CO2 eq. T mechanism, a product which consumes more CO2 equivalent tonnes will be less available in the future as I have just emphasised. And as we all know, a rarer product always costs more than a standard one. We are already seeing announcements of price increases from the fluorinated product producers on the European market. What strategy must be put in place to make existing installations using HFCs sustainable over the long term? A.L.D. : There are replacement solutions for high GWP fluids currently on the market which have already been proven over a number of years. Performax® LT (R-407F), a substitute for R-404A, is a good example. Climalife, always at the forefront, was one of the first companies to position itself on Performax® LT which has made itself the premier lower-GWP alternative to R-404A. This refrigerant is already widely used in both commercial and non-commercial refrigeration installations. Its GWP of 1825 is already more than 50% less than that of R-404A which is 3922. Feedback has been good. This product is easy to use in a conversion and requires little investment. In parallel, new lower-GWP HFO/HFC molecules have been developed by producers to anticipate these regulations and to meet the requirements of the industry. These are also now available on the market and meet the prohibition criteria of F-Gas II. In addition, these new solutions have the advantage of being more energy-efficient, an important criterion to be taken into account by installers. Our recommendation is to anticipate the changeover from high-GWP fluids in exist­ing installations from now on and apply a simple rule: only convert installations which are in good condition and whose performance is satisfactory. The first objective is to prolong the life of the installation whilst keeping as many as possi­ble or all its constituent components to reduce the economic and environmental impact of the operation, limit investments and ensure the depreciation of recent installations. The solution must enable thermodynamic per­formance to be obtained which is compatible with the requirements. A diagnosis and feasibility assessment should be drawn up before undertaking a conversion to other HFC-based blends. Climalife is positioning itself to help its customers test these new molecules in their systems and share its technical expertise to support them in choosing the fluid for their systems which is the most suited to their requirements and specific applications. What do you recommend for new installations in the future? A.L.D. : Nowadays, different types of molecule are available on the market. 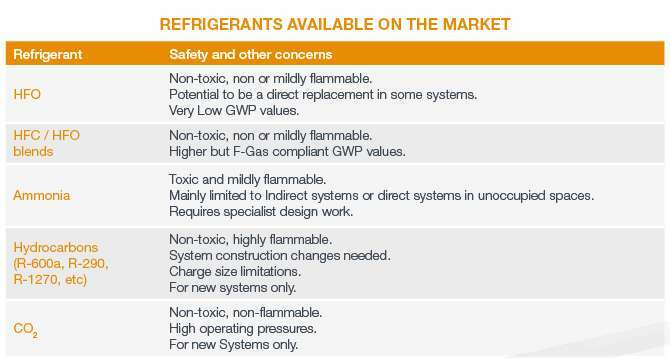 Non-flammable, low-flammability or high-flammability products, fluorinated or non-fluorinated, non-toxic or highly-toxic, products operating at low pressure or high pressure, there is no standard molecule for covering all refrigeration and air conditioning applications. The same applies when installing a new thermal installation, the choice of fluid must be studied by taking into account a number of technical, economic and environmental parameters depending on the application in question. This new phase down mechanism will instigate considerable changes for the thermodynamic industry as you have just explained. How do you see this transition in the years to come? A.L.D. : This is not the first schism the cooling market has faced. When it started in 1830, particularly dangerous, difficult to control and inefficient products were used (NH3, SO2, CCl4, H2O, etc.) the main purpose of which was to preserve foodstuffs. Then successive waves of legislation hit the market and it was necessary to find viable and easily applicable technical solutions to make the systems sustainable over the long term. We have lived through the replacement of CFCs by HCFCs, then HCFCs by HFCs and now it is the turn of HFCs to be replaced by HFOs and other technologies. Any change is a source of opportunity and innovation for all players in the industry. The thermodynamic industry needs to adapt as a consequence, and act quickly. We cannot wait until the crucial date of 2020, that will be too late! To conclude, what means have you put in place as a leading refrigerant distributor in Europe to support your customers in facing up to this change? A.L.D. : Since 2010, we have deployed additional resources to anticipate this change to the regula­tions. We have introduced refrigerants with lower GWPs onto the market such as Performax® LT, Solstice® ze and R-448A and have built up in parallel our global range of solutions with regard to secondary refrigerants/heat transfer fluids, refrigeration oils and leak detection equipment to cope with this change. Moreover we actively participate in the various professional events organised in Europe to inform installers and end-users of new products in the pipeline and share our technical expertise with them. 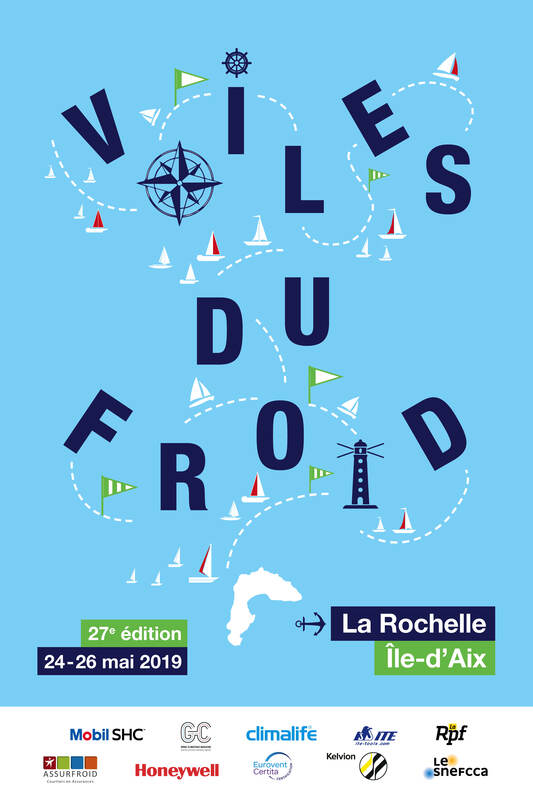 We organise our own technical conference days in partnership with our suppliers to explain, in practical terms to our customers, the implemen­tation of these new solutions in line with their requirements. We also provide a modelling service to compare the various solutions in new or existing instal­lations. To provide day-to-day support for refrigeration, air conditioning, heating and NRE professionals, Climalife has developed an “F-Gas Solutions” smartphone app. Simple, informative and free, this application removes the complexity from the “F-Gas II” regulations and provides an accurate answer in a few clicks.